Kate is a solicitor in the Private Client team. She trained at Field Seymour Parkes in Reading and joined Morrisons on qualification in September 2016. Kate specialises in administration of estates, drafting Wills, providing estate planning advice and preparing and registering Lasting Powers of Attorney. Kate is a member of Solicitors for the Elderly and is studying for her Society of Trusts and Estates Practitioners diploma which is an internationally recognised organisation for solicitors working in the area of Private Client. 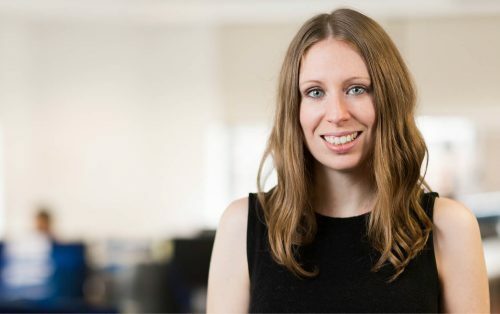 Kate has worked on a range of estates and probate matters, some of which have been complex and high-value, and has experience dealing with assets in multiple jurisdictions. Kate has drafted Wills to fit wide variety of scenarios, and her aim is always to fully understand clients’ aims in order to offer the most pragmatic advice for their situation. When not at work, Kate can be found on the netball court or at the theatre. She can also play the violin to a bearable standard.